Sprie Keukenklok is a representation of our kitchen clock, albeit with extended functionality. 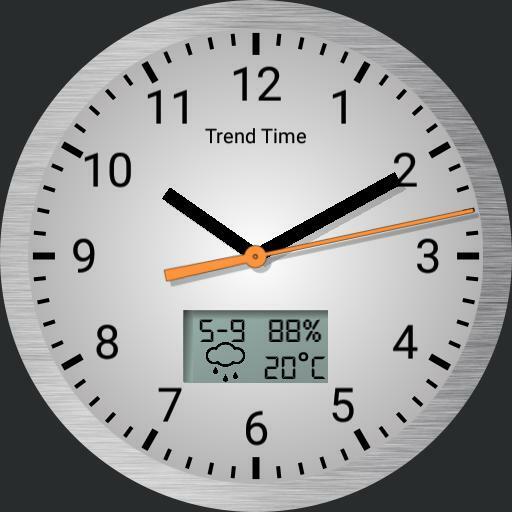 - Tap the info window to toggle between date and current weather, 4 days temperature forecast, four days weather forecast, battery levels, steps and heart rate, and agenda. - Tap 12 to temporarely make the hands transparant.